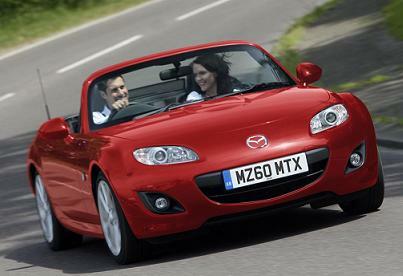 The Mazda MX-5 is the world’s best-selling two-seater Convertible car with good reason. This multi-award winning Mazda MX-5 delivers the true roadster elements — outstanding agility and driving dynamics, optimal power-to-weight ratio and thrilling rear-wheel drive. And of course a Soft-top roof that takes up no space in the boot and in seconds can go from a stunning roadster to a sleek and stylish convertible. We are delighted to announce that the Mazda MX-5 has been awarded ‘Most Popular Roadster’ at the Honest John Awards 2013. Typifying our unconventional approach this car is inspired by the Japanese notion of Jinba Ittai – ‘horse and rider as one’. And it’s this special bond between car and driver that makes the Mazda MX-5 feel so responsive, sprightly and fun to drive. Mazda MX5 SE Convertible 1.8i car offers are based on Car Leasing, 10,000 miles pa, 3 in advanced followed by 35. Business contract hire offers are + VAT / Personal car leasing deals include VAT. 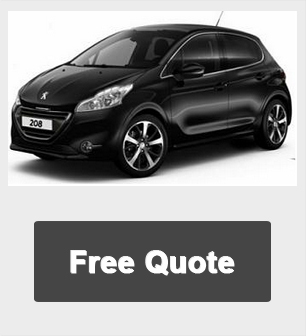 We're constantly reviewing and updating our special offers prices to ensure you get the best and cheapest deals available.